AZFJ › Forums › Arizona FJ Discussion › General Discussion › AZFJ decals....who wants one? 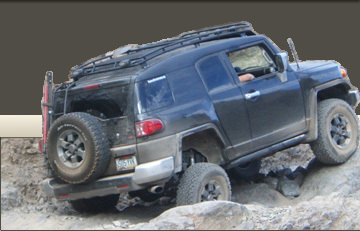 Forums › Arizona FJ Discussion › General Discussion › AZFJ decals....who wants one? Posted: Tue Aug 16, 2016 6:46 am Post subject: Re: AZFJ decals....who wants one? There will also be decals at the crown king run, see mikey or myself. Posted: Tue Aug 16, 2016 3:54 pm Post subject: Re: AZFJ decals....who wants one? No need to have emoji violence. We have flags! Posted: Tue Oct 25, 2016 7:46 am Post subject: Re: AZFJ decals....who wants one? Posted: Thu Oct 27, 2016 5:57 am Post subject: Re: AZFJ decals....who wants one? Do I still need to contact ZZMIKEY for a decal? Posted: Thu Oct 27, 2016 6:15 am Post subject: Re: AZFJ decals....who wants one? Posted: Thu Mar 08, 2018 6:56 am Post subject: Re: AZFJ decals....who wants one? Check the first post for updated info on who to contact for decals. Posted: Thu Aug 23, 2018 8:57 am Post subject: Re: AZFJ decals....who wants one? fyi everyone - we got more AZFJ stickers (the original, bigger ones 3x5 window decals), so if you need one let me know. $3 for one, $5 for two. Typically give them away free on trail runs/camping that I participate in. If you want one, please PM me or email me ([email protected]). Let me know how many you want, where to send it to, and then send me payment. Once I receive payment then I send out the stickers. Posted: Thu Aug 23, 2018 1:30 pm Post subject: Re: AZFJ decals....who wants one? I'm down to my last one Mikey, I'll hook you up with some GOogle Pay tomorrow for 8. Posted: Thu Aug 23, 2018 1:45 pm Post subject: Re: AZFJ decals....who wants one?